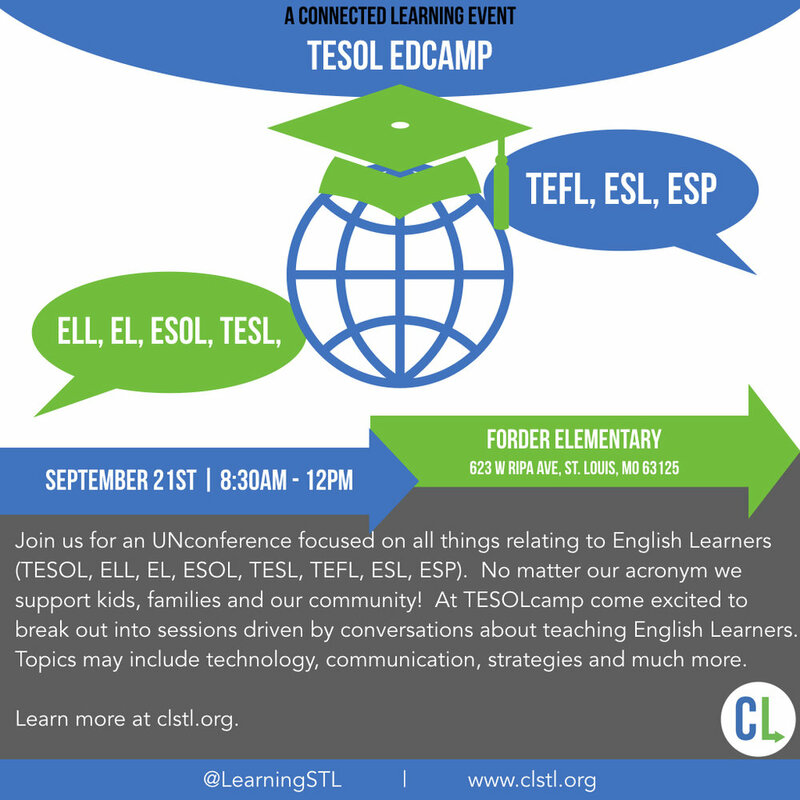 Join us for an UNconference focused on all things relating to English Learners (TESOL, ELL, EL, ESOL, TESL, TEFL, ESL, ESP. No matter our acronym we support kids, families and our community! At TESOLcamp come excited to break out into sessions driven by conversations about teaching English Learners. Topics may include technology, communication, strategies and much more.